Apple is rumored to be making some big hardware changes to celebrate the iPhone’s 10th anniversary, some of which include edge-to-edge OLED screens, removal of the home button, a glass-and-steel body, and wireless charging. With all these changes possibly coming, we may be in store for a drastically redesigned phone. Although Hajek’s concept isn’t officially backed by Apple, it does give us something to daydream about. Hajek’s design includes a black bar as an artistic nod to the antenna on the first-generation iPhone. While the black stripe appeared out of necessity on the original iPhone, technological advances mean that phonemakers can better camouflage any antennas. 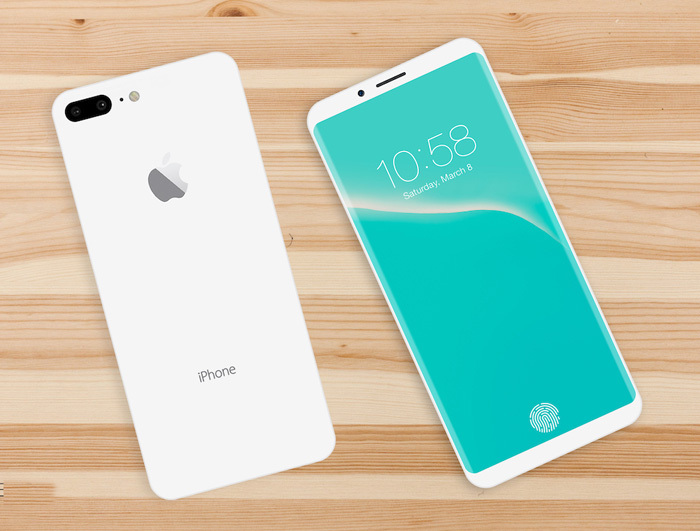 The concept phone is seen next to the current iPhone 7. While the two devices look roughly the same size, Hajek imagines the iPhone 8 to have a much bigger screen, thanks to smaller bezels. This draws similarities to the size of the Galaxy S8 and its predecessor, the Galaxy S7.